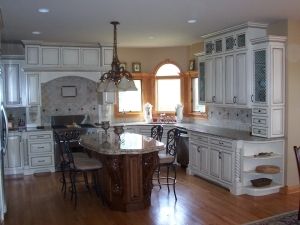 D & D Stone – Chicagoland's most trusted stonework fabrication and installation provider. Chicagoland's most trusted stonework fabrication and installation provider. D & D Stone will guide you to the kitchen or bathroom of your dreams. 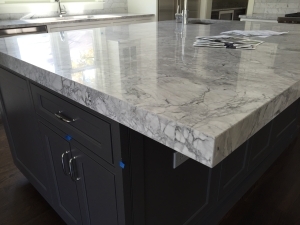 With over 10 years of experience, hundreds of fabrications and installations under our belt, and the most exceptional service in our industry, we are ready to help you reach your design goals. D & D Stone has over 10 years of experience crafting award winning, professional stonework for residential and commercial properties. Our knowledgable team will be your guide whether you know exactly what you want or if you need some pointers. Whether you are remodeling or building from scratch, our team can guide you to the kitchen or bathroom of your dreams. We take pride in our craftsmanship and have done custom work for fireplaces, wine cellars, and stairwells in both residential and commercial spaces. Get a quote today or browse through our portfolio of work to explore our history and to inspire your own project. 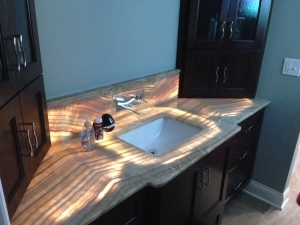 We use the highest grade materials and can work with both natural and man-made stone. Contact us today to learn about your options and the benefits of the materials that you choose. I'm ready to start my project! D & D Stone is your trusted partner for natural and man-made stone fabrication and installation. Copyright D & D Stone. All rights reserved.